NSW house builder and land developer Rawson Group has diversified its housing offer to address the affordability issues created by Sydney’s $1 million median house price and open the market to first homebuyers priced off the property ladder. The company has sold 15 of its new sub $650,000 Thrive Homes house and land packages in the first two weeks of launch, despite the broader market experiencing head winds in house and land packaging. Noting a gap in the sub $250,000 standalone housing market, Rawson Group studied how it could create a product under $200,000 that offered the choice the company is best known for. It achieved prices starting at $185,000 per home plus land and site costs, by streamlining the build process and removing the DA process to make each of Thrive Home’s offers CDC compliant. This created cost savings which the company reinvested in better designs, better inclusions and lower prices. 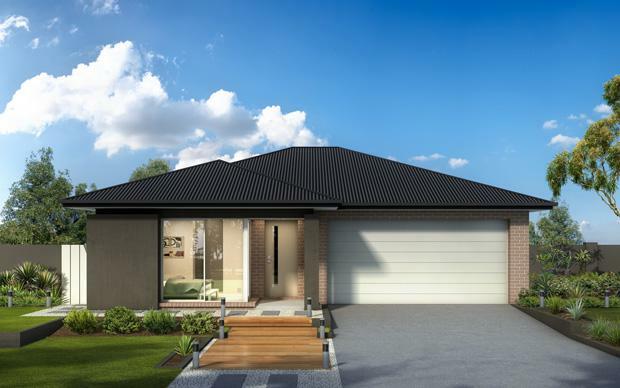 Rawson’s generous customisation options, typical of its award-winning design-led premium Rawson Homes brand, were also reduced, but not too far, with 5900 variations available through different internal and external options. Rawson Group CEO Matthew Ramaley said: “The market has responded well to the offer in its first two weeks, with the majority of purchasers to date being first homebuyers. “Thrive Homes aims to help people, particularly first homebuyers, get on the property ladder in Australia’s most expensive real estate market and do it without compromising on design,” Mr Ramaley said. “The affordability issue is one for developers and home builders to fix in the near term because reductions in statutory costs will require broader tax and planning reform. Working with our suppliers, we are doing our bit to open the market to more Australians by delivering affordable, well-designed homes. Rawson Communities, the company’s land development arm, has 1300 lots under management, with a particular focus on western Sydney in prime growth areas including Marsden Park and Leppington. “Government investment in infrastructure in these areas has generated an increase in consumer confidence which is underpinning demand for new land. We enhance the affordability of these areas by delivering great value-for-money house and land packages,” Mr Ramaley said. “Ultimately house and land packages offer our clients convenience, certainty and cost efficiencies, which is essential for those on a budget. We are confident that Thrive Homes will continue to educate buyers on these advantages. The launch of Thrive Homes comes following a bumper year for Rawson Group, which recorded over $400 million in FY16 revenue, up 21 per cent on the previous year. This included more than 1000 home starts in the past financial year, up from 670 the previous, with growth forecast at 25 per cent over FY17. Rawson Group hands over the keys to three new homes every day through its house building arm Rawson Homes founded 40 years ago and its vertically integrated land development arm, Rawson Communities.